Massage or massage therapy is a treatment that involves physically manipulating soft tissues like muscles, tendons, ligaments, and connective tissue. You can get a massage as part of physical rehabilitation or to relieve stress. The therapist typically uses their hands or finger, but they can also use their elbows, forearms, or even feet to massage you. People have used massage for millennia, and there are at least 80 types. 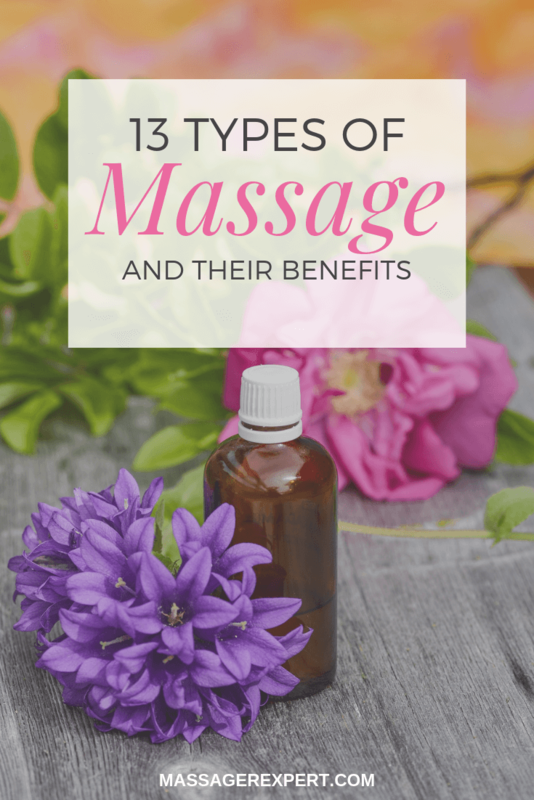 Different modalities or types of massage provide different benefits: Some simply help you relax, while others can be used to treat specific conditions. When scheduling a massage, you should tell the therapist why you want a massage so they can recommend the type best suited to your needs and wants. This is especially true if it’s your first time. Swedish massage is the most common and best-known type of massage. While Asian modalities emphasize balancing life energies, Swedish massage is based on an understanding of anatomy and physiology. The therapist will use five basic movements: effleurage (long gliding strokes), friction (small circular motions), petrissage (kneading, rolling, or squeezing), tapotement (tapping), and vibration (shaking or rocking). The therapist will use oil or lotion to lubricate your body, and they will generally start by massaging the whole body and then working on specific problem areas. Swedish massage can provide whole-body relaxation, and it can help people recover from some injuries. Aromatherapy massage is a variant of Swedish massage in which the therapist uses essential oils along with the usual massage oil. Essential oils are extracts made from plants that are believed to have healing properties. Many of them also smell good. Different essential oils provide different benefits. For example, rose and lavender oils both promote relaxation. Other oils can relieve headaches, digestive problems, back pain, insomnia, and premenstrual symptoms. Some oils can provide emotional benefits like reducing stress, improving mood, or increasing energy. The therapist will choose the oils based on your needs and wishes. There is one caveat to consider: Essential oils can cause allergic reactions in some people. Hot stone massage, as the name suggests, involves the use of hot stones, most commonly basalt, a volcanic rock that can hold heat for a comparatively long time. The therapist will place the heated stones on specific parts of the body. They will also massage you with the stones by pressing them against your muscles. The heat from the stones relaxes tight muscles and enables the therapist to reach deeper tissues more easily. Some practitioners believe that the stones symbolize natural forces for they have been shaped and smoothed by the river. They believe that the smoother the stone is, the more healing power it contains. Other therapists will follow acupressure traditions and thus place the stones along the body’s meridians. As per Chinese tradition, meridians are pathways or channels through which vital energy flows. Some therapists will also use especially carved stone tools called body rocks to help focus the pressure the therapist puts on the client’s body. People with certain medical conditions like diabetes, varicose veins, or heart disease should check with their doctor before getting a hot stone massage. Clients who take blood-thinners should also talk to their doctor. In deep tissue massage, the therapist uses slow strokes that press on the deeper tissues like muscles or tendons. Rather than massage the entire body, the therapist will often concentrate on tight muscles causing the client discomfort or pain. The therapist will also focus on adhesions or knotted muscles. Deep tissue massage is particularly effective for treating painful and stiff trouble spots on the body. It can help treat back sprain and other muscle injuries, and it can help relieve chronic tension. Deep tissue massage can also help people with osteoarthritis or conditions like tennis elbow that are caused by repetitive stress injuries. Deep tissue massage can be particularly helpful for people who engage in strenuous physical activity like athletes or construction workers. Further Reading: The Deep Tissue Massage vs. Swedish Massage. What is the Big Deal about them? Shiatsu is a type of Japanese massage, and the word “shiatsu” means “finger pressure.” Shiatsu is derived from traditional Chinese medicine, and it is supposed to improve the flow of vital energy or chi and restore balance by stimulating the body’s acupressure points. To that end, the therapist will use their hands, fingers, or elbows to apply pressure along the body. They will generally hold that pressure for a few seconds. Shiatsu practitioners don’t use lotion or oil, so you should wear loose clothing. The therapist will typically ask you to lie on a low massage table or a mat on the floor. Shiatsu helps relieve stress and protect you from health problems caused by stress. It is said to also stimulate the digestive system, increase energy, and promote healing. Shiatsu is believed to be an effective treatment for sciatica, insomnia, neck and back pain, arthritis, and even sinus trouble. Further Reading: Shiatsu vs. Swedish Massage- Which One is for you? Thai massage is a blend of massage, passive stretching, and assisted yoga. It is believed to be over 2500 years old and incorporates elements of the Ayurvedic healing traditions from India. The therapist will have you lie down, often on a mat on the floor. They will then stretch your body in a series of positions. They will use their fingers and palms to press down on your body. Thai massage, like shiatsu, helps improve the balance of the body’s energies. Also, like shiatsu, you usually keep your clothes on. 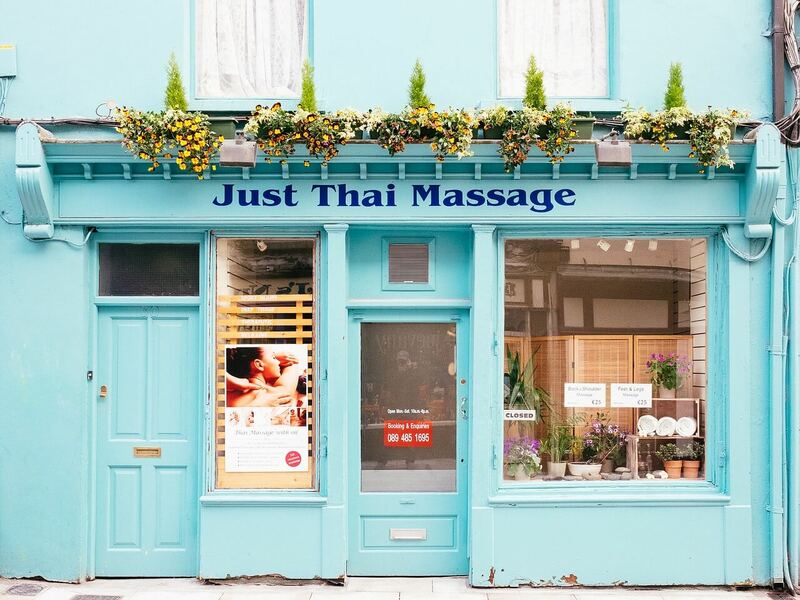 Thai massage can reduce stress, back pain, and muscle spasticity. and improve balance and range of motion. It can also help people with migraines and balance problems, and it can improve the circulation. Reflexology actually originated in a number of ancient civilizations, but Eunice Ingram, an American physiotherapist, developed the modern form in the 1930s. It is based on the idea that some parts of the body, such as the feet and hands, are “reflex areas” whose energy is connected to other parts of the body. By putting pressure on such reflex areas, the therapist can reduce stress by stimulating endorphins. Reflexology is also believed to balance the nervous system. The client generally remains fully dressed while being massaged, but they do take off their shoes and socks. While most types of massage last 60 to 90 minutes, a reflexology session lasts 30 to 60 minutes. Also known as pregnancy massage, prenatal massage is designed to help pregnant women by reducing stress and the physical discomforts that accompany pregnancy like swollen ankles and back pain. Prenatal massage can provide treatment during a time the woman can’t safely take certain medications. The therapist will need to have undergone special training in order to give a prenatal massage, for they will have to tailor the treatment according to the patient’s needs and trimester. For example, they will have to know which positions and techniques they should avoid during a given trimester. They will also need to know how to properly support and position their client. As with Swedish massage, the therapist will apply gentle pressure to the client’s body. The client can be wholly or partly undressed. They will either lie on a special table with an area cut out for their abdomen or on their side on a conventional massage table. The therapist will usually concentrate on the client’s legs, back, and hips. A prenatal massage typically lasts 45 to 60 minutes. Watsu is a hybrid of shiatsu and hydrotherapy that was developed in California in the 1980s. The therapist will work with you in a warm pool of water that is about three or four feet deep and has a temperature of 95° F (35° C). The water will help support and relax you. During the session, the therapist will use a variety of techniques including muscle stretching and joint mobilization. They will intersperse flowing and rhythmic movements with brief periods of stillness. Watsu enables the therapist to move your body in ways that would not be possible on land. Watsu can promote relaxation and reduce stress. It can help people recover from injury by reducing pain in the joints and muscles. Watsu can also improve flexibility and range of motion. Some practitioners claim that Watsu can also improve digestion and sleep. As the name suggests, sports massage was designed for athletes. It can help prevent injuries by improving an athlete’s flexibility. It can also help an athlete recover from injuries like strained muscles. Sports massage can help reduce pain and improve a client’s range of motion. Sports massage resembles Swedish massage, but the therapist will use faster strokes. They may also use other techniques like pressure point therapy, joint mobilization, and compression. If the athlete plays a specific sport, the therapist will often tailor their massage to focus on certain muscle groups. During a chair massage, you sit in a portable chair, while the therapist works on your back, neck, shoulders, arms, and hands. Chair massages are often offered at public places like airports, conferences, or county fairs. You will, therefore, remain fully dressed during the massage. Massage chairs provide an increasingly common variant of chair massage. These chairs have mechanisms that enable them to massage people. Some of the more high-end models can be programmed to provide specific types of massage like Swedish massage or Shiatsu. Chair massages of both types tend to be quick; they can be under ten minutes long. They can provide a quick pick-me-up if you don’t have a lot of time. Amma is an ancient Japanese technique that is said to be 5,000 years old. Like many Asian modalities, it seeks to balance your energy according to the precepts of traditional Chinese medicine. The therapist will concentrate on the fourteen key meridians located along the body. The therapist may use their fingers, thumbs, elbows, feet, and knees to put pressure on your body. They will use a variety of fluid motions like strokes to help synchronize the energy between you and themselves. You can sit or lie down, but you will generally get better results if you lie down. The therapist typically does not use any oils or lotions, so you may keep your clothes on. In Aqua Massage, the therapist uses jets of water, rather than their hands, to massage the client. Aqua Massage is a new technique that is increasingly offered at resorts and shopping malls in places like Las Vegas. A variant called Dry-Water Massage keeps a protective barrier between you and the water. You will lie on a foam pad, and the therapist will cover you with a plastic sheet. In both types of massage, the warm water has the same effects that using a showerhead on sore muscles at home does – just on a larger scale. Aqua Massage and Dry-Water Massage help soothe sore muscles and skin. They can be effective treatments for chronic fatigue syndrome and fibromyalgia. As can be seen, there are many types of massage to choose from. Since a poorly trained therapist can actually hurt a client it is vital to choose a reputable spa, wellness center or clinic with experienced and credentialed staff. An increasing number of hospitals and rehabilitation clinics offer massage as one of their therapies. Many of these places will want your health history, especially if it’s your first visit. You should bring in completed forms and/or get to the spa a little early to provide such information as where your pain is and what makes it feel worse. Reschedule your massage if you’re ill or have skin problems like sunburn or a rash. The therapist can’t work on irritated skin, and it would be very easy for them to catch your cold. If you need to disrobe before the massage, the therapist will leave the room to let you undress. There will be a blanket or towel on the massage table that you will use to cover yourself. During the massage, the therapist will expose only the body part they are working on.